Around the World in 80 Days: Grab This First Class Ticket to Fun! Rachel Kemp as the newspaperman. 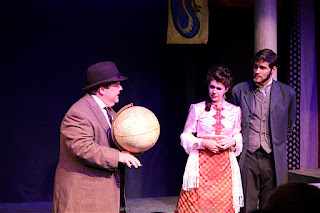 (Pendragon Theatre, Saranac Lake, NY) For those Jules Verne fans, Mark Brown's staged version of Around the World in 80 Days currently playing at Pendragon Theatre is a first class ticket to a fun, whirlwind comedy. 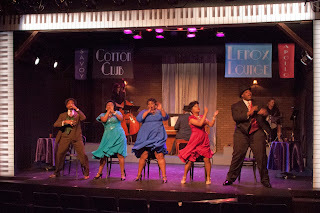 Director Jon Liebtrau has chosen a diverse group of actors who fill the stage with energy. With lightning fast costume changes and minimal sets, these five actors transform into over 40 characters across seven continents while making sure the audience enjoys the ride. 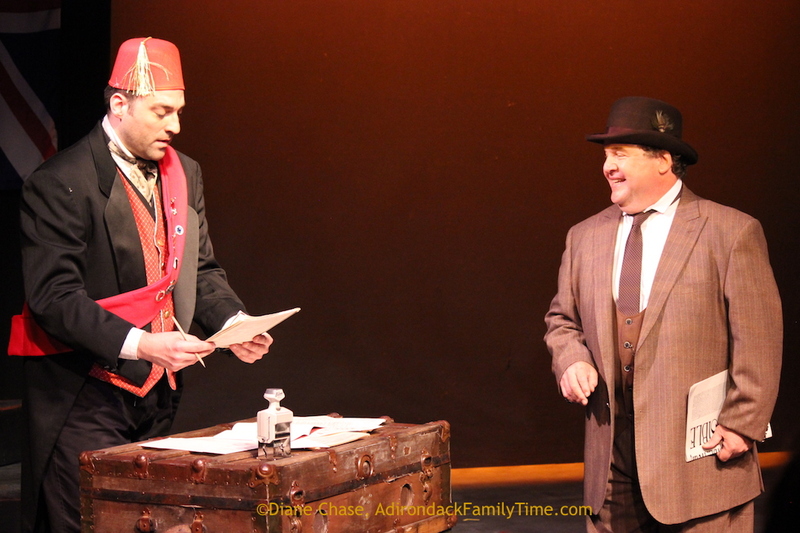 From Jonathan Whitney's proper Phileas Fogg to Mark Mainville's joyous Passepartout, Around the the World in 80 Days is a hilarious adventure that has us laughing in our seats. and Jason Brill as Detective Fix. It has been a long time since I've read the Jules Verne book published in 1873 about the Englishman Phileas Fogg's bet that he would successfully circumnavigate the globe in 80 days. 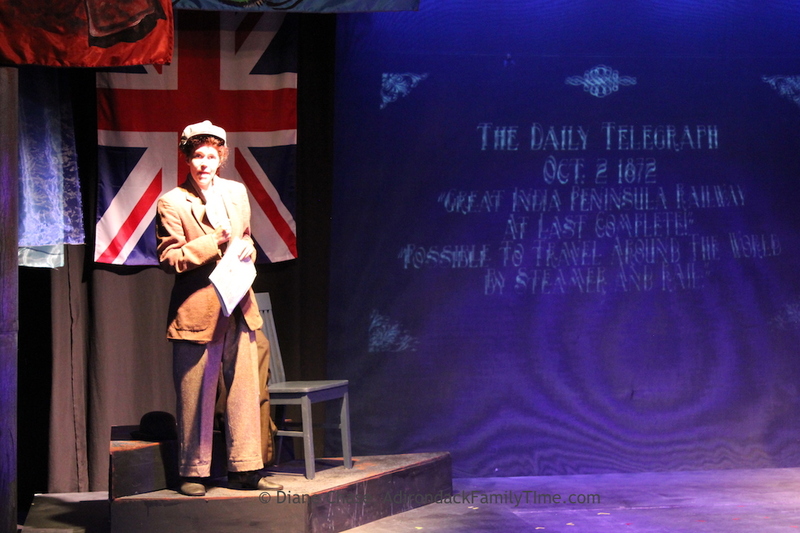 The Pendragon Theatre production doesn't seem to vary much from the book, but any minor discrepancies aren't missed. This comedy is a fast-paced journey wrought with mistaken identities, danger, heroic feats and love. Armed with seemingly endless funds, the repressed, inflexible Fogg startles his servant, the recently hired French valet Passepartout, when he accepts a bet that he will leave the comforts of home to travel around the world and arrive back in London by December 31 or forfeit £20,000 to his Reform Club members. 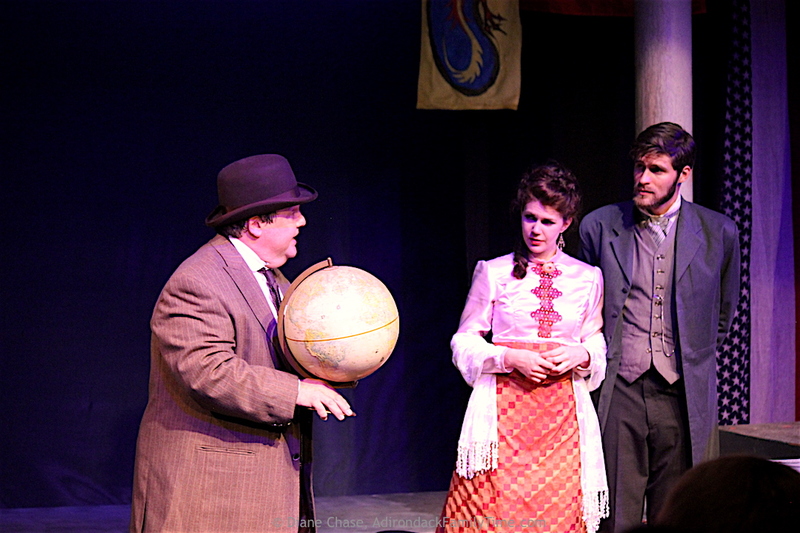 Jonathan Whitney's Phileas Fogg is a flawless blending of rigid Englishman and task-driven competitor. Whitney seamlessly portrays this inflexible character through his stiff actions, whether unfolding the newspaper or sitting stiffly in a chair. As Fogg moves through a world full of adventures, Whitney has his character gracefully unwind as he meets new people and faces new experiences. Passpartout, played by Mark Mainville, is portrayed with wide-eyed wonderment and unwavering devotion. 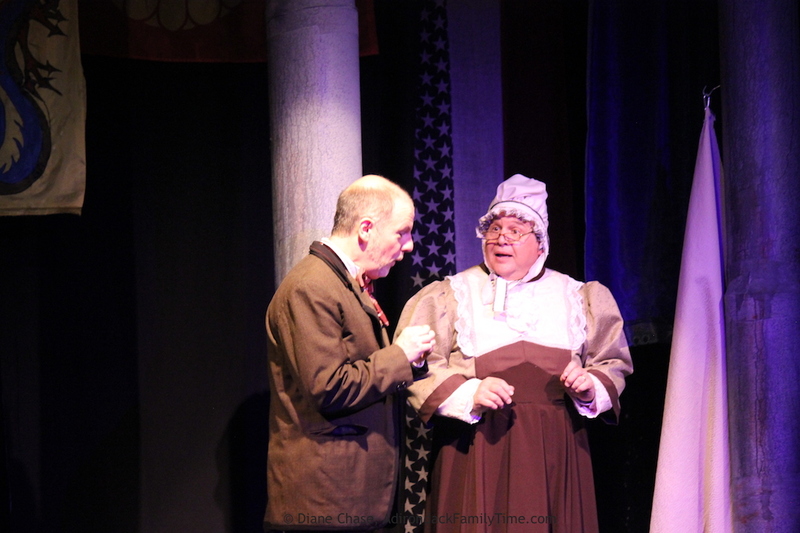 Mainville is a comedic match for Whitney's straight man. Mainville's Passpartout is all high energy and innocence as he eagerly approaches each task, whether saving damsels, defending his employer's honor or keeping the time as they race the clock back to England. 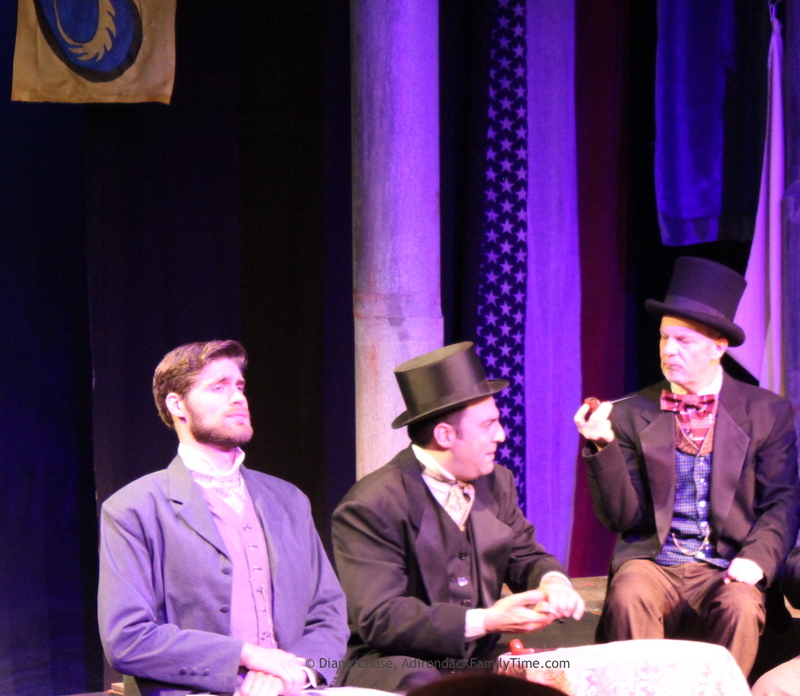 Quite a bit of the play's action is provided by four just as equally talented actors. 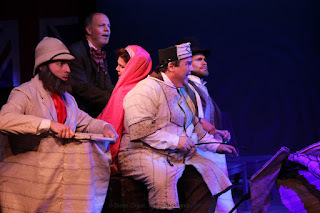 Listed just as Actors 1, 2, and 4 Matthew Sorensen, Jason Brill, and Rachel Kemp brilliantly drive the story around the world through their numerous costume changes, spot-on accents and comedic entrances. In a clever twist Director Liebtrau brings Pendragon newcomer Will Gray (actor 6), as the Foley Artist, front and center to create a world of sound throughout the expedition. 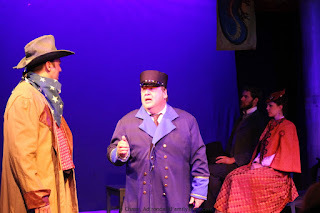 Sorensen never breaks character as he shifts between roles whether he is priest, Chinese broker, Judge Obadiah, Captain Speedy or any one of the other 16 personalities Fogg and Passepartout meet on this madcap adventures. 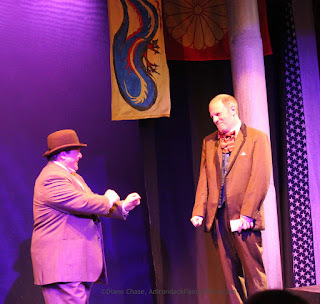 with "Around the World in 80 Days"
Brill gifts us with a sweet, bumbling Detective Fix who mistakenly identifies Fogg as an English bank robber. 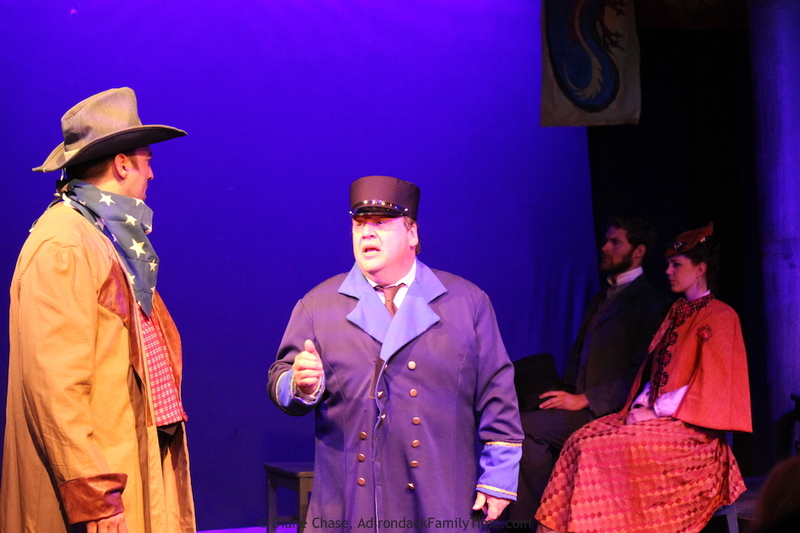 Fix attempts to detain Fogg by sabotaging his trip. Brill's portrayal of Fix is endearing, though it is through all the other characters as Actor 2 where Brill moves the action and has us guffawing and sputtering in laughter. Kent Streed's costumes and sets are perfect in their simplicity, allowing the actors to easily adopt each new character with ease. 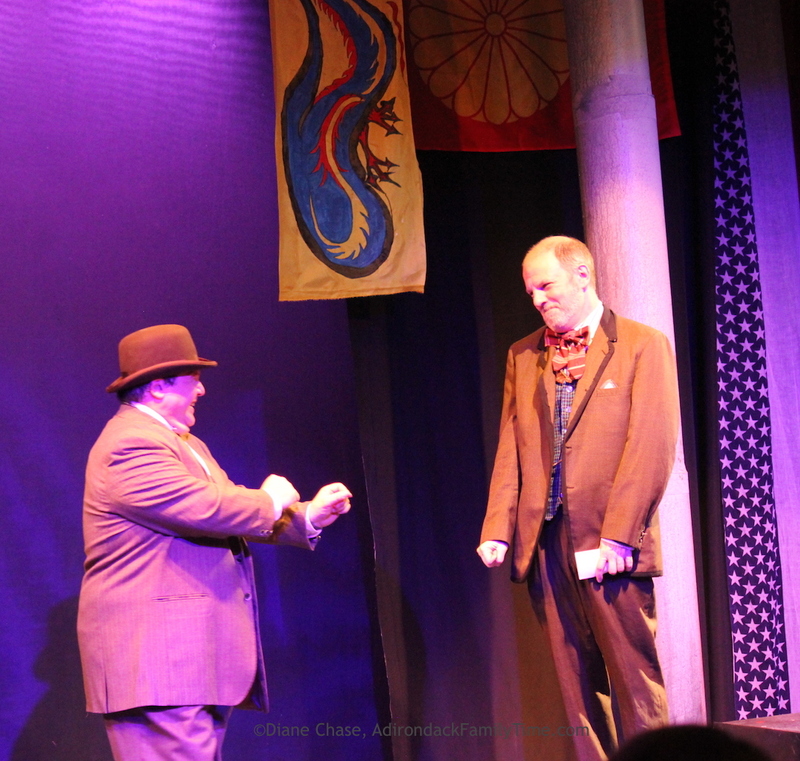 Whether it's Brill's simple mustache twitch as the elephant owner, Sorensen's numerous wig changes or even an elephant on stage, Streed has us journeying through India, traveling on trains and crossing oceans with the most subtle touches. 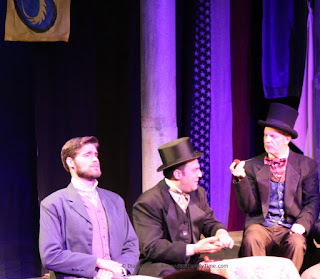 Rachel Kemp, last seen in Pendragon's The Seagull, demonstrates her diversity as Fogg's previous valet and the newspaperman, but it's her role as Aouda, Fogg's love interest, where she truly shines. Kemp's Aouda begins as a demure Indian villager rescued by Fogg, but develops into a gun-slinging, independent woman. The journey ends back in England, but does Fogg win his bet or get the girl? Does Fix find his robber or was he right about Fogg. This fun romp around the world answers all those questions and more. Enjoy this first class ticket to fun!